Due to an accident on the A38 the road has been closed. As a result, the A4 Air Decker is currently experiencing delays. Please allow plenty of time for travel. This entry was posted in Uncategorized on March 21, 2018 by Victoria. Full service has now been resumed. This entry was posted in Uncategorized on March 18, 2018 by Lena Cook. Due to the snow overnight, the A4 service is experiencing disruptions this morning, please allow plenty of time for your journey. Normal service will resume as soon as possible. Due to Road Closures on Pierrepont Street, Sunday 18th March, the Air Decker’s will be unable to serve the Terrace Walk bus stop between the hours of 08:30 – 19:00 inclusive. During this time the service will turn around and finish it’s journey at the bus stops outside of the bus station. This entry was posted in Uncategorized on March 14, 2018 by Connor Flavell. Unfortunately the 10.30 departure from Bristol Airport is unable to operate today. Apologies for any inconvenience caused. This entry was posted in Uncategorized on March 14, 2018 by Lena Cook. This entry was posted in Uncategorized on March 7, 2018 by Victoria. All evening departures will now operate as per our timetable – no disruption anticipated. This entry was posted in Uncategorized on March 3, 2018 by Victoria. Bath to Bristol Airport – The 20:00hrs and 22:00hrs will not operate. Bristol Airport to Bath – The 21:00hrs and 23:00hrs will not operate. 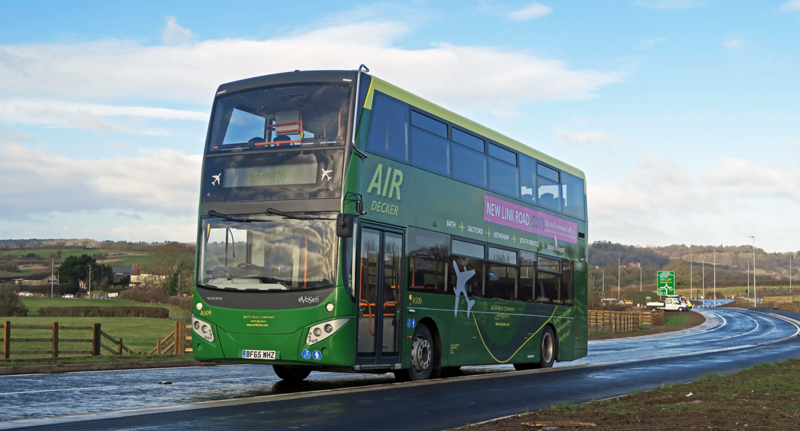 Due to the cancellation of the Bath Half Marathon on Sunday 4th March, the A4 Air Decker service will operate to its normal schedule and route, to and from Bath City Centre. We will no longer be terminating at The Globe.